Monday, February 4, 2019 @ 6:00 p.m.
a. S/S Dir. Given's submission of detailed information consisting of a map of water main breaks city-wide for 2018 along with various statistics and comparisons. b. S/S Dir. Given's correspondence requesting withdrawal of an application approved by the LC Planning Commission on January 2, 2019 to amend Sections 1165.04 & 1167.03 to allow for mini self-storage facilities. a. The Ohio Division of Liquor Control's notification of applications for a Liquor Agency and C1, C2 and D6 permits for a carry out liquor licenses from SFMA Management Inc. d/b/a Rags Wine & Beverage @ 1089 Meister Road to SFMA Mgmt. Inc. d/b/a Rags Wine & Bev. @4743 Oberlin Avenue, Lorain. a. Email correspondence received from Abbey Gleason requesting additional recycle bins -free of charge along with an update on the smoking ban proposal previously discussed in committee. b. Official notice advising vegetation management work will be performed at various locations throughout the city to maintain FirstEnergy's transmission lines during the 2019 calendar year. a. ____Ord. authorizing the S/S Dir. to enter into a contract with Medical Mutual for employee health insurance coverage for 2019.
b. ____Ord. authorizing the Safety/Service Director to enter into a contract with the lowest and best bidder for the Black River Area of Concern Reclamation Site Restoration project. c. ____Ord. authorizing the Auditor to pay multiple invoices submitted by the Utilities Dept. invoking the Then & Now Certification exception process totaling $3114. d. ____Ord. authorizing the Auditor to pay invoices submitted by the Civil Service Department that invokes the Then & Now Certification exception process and to pay for said invoices totaling $4,000. e. ____ Ord. auth the S/S Director to enter into a contract with the highest rated and ranked engineering firm for professional services related to the design of the Black River WWTP Primary Clarifier Rehab Project. c. ____Ord. 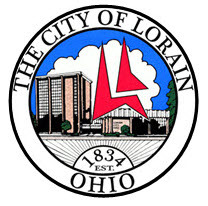 authorizing and approving a fourth amendment to the Development Agreement by and among the City of Lorain & Spitzer Great Lakes and Zaremba Black River Development. **AN EXECUTIVE SESSION, WILL BE HELD IN ACCORDANCE WITH ORC 121.22 G (3) TO CONFERENCE WITH THE PUBLIC BODY'S ATTORNEY REGARDING DISPUTES THAT ARE THE SUBJECT OF PENDING AND/OR IMMINENT COURT ACTION. If your trash was not picked up due to inclement weather on 1/30 & 1/31 you may place 3 extra bags out this week.